After UPSC, Rajasthan gets IIT topper.Just a week before, Gaurav Agarwal of Jaipur bagged the first position in the UPSC examimation. Murdia of Delhi Public School, Udaipur, is the second student from Rajasthan to bag the top rank in JEE-Advanced. Having earned the rare distinction of being the only student in the country to clear four Olympiads — physics, chemistry, mathematics and astronomy — Chitraang Murdia of Udaipur created another record as he emerged national topper of IIT-JEE (Advanced) - 2014 examination, the results of which were announced on Thursday. He scored 334 out of 360 marks. This is for the first time it was absorbed that the difference between the first and second rank holder is of 12 marks. Telangana's C Sai Chetan, all-India rank second, scored 322 marks. Kota, the country's major coaching hub, has again lived up to expectations. 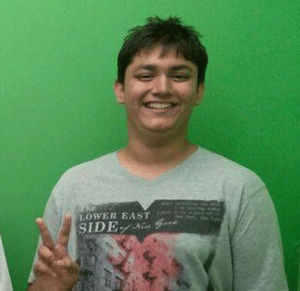 Besides, Murdia, Govind Lahoti from Indore stood 3rd and Amey Gupta from Surat secured 8th rank. The trio made it to the top 10 rankers from Kota. A total of 20 students from Kota featured in the top 100.Jaipur schools, too, had their share of success. Step by Step claimed 45 of its students and Cambridge Court High School said six have cleared the IIT hurdle. Congratulations to you and family. Good Luck !